Can’t find the snippet you want? 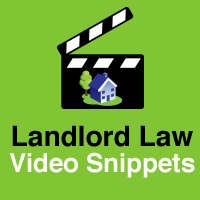 Wanting some quick advice on a specific area of Landlord & Tenant law and practice? Complete our ‘Suggest a Snippet’ form and send it off to us and we will do what we can. If you give your email, we will let you know if your snippet goes online.